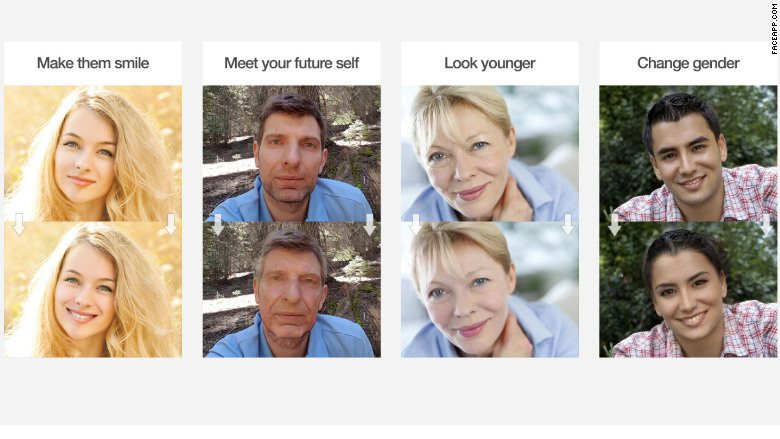 FaceApp, the popular photo-filter application, said it is removing new "ethnicity filters" after angry users condemned the update as racist. The feature prompted users to alter selfies with "black," "Indian" and "Asian" filters. It gained widespread attention this week as social media lit up with comments that called the feature offensive. "FaceApp's 'ethnicity filters' are a pretty terrible idea. Like, maybe one of the worst ideas," one Twitter user wrote. Another user accused the company of "setting the bar for racist [augmented reality] with its awful new update." CEO Yaroslav Goncharov responded in a statement Wednesday saying "the new controversial filters will be removed in the next few hours." He told CNNMoney that it would be removed on FaceApp servers, so users did not need to update their apps in order to remove the filer option.